The world enters uncharted territory in terms of greenhouse gas emissions, as concentrations reach record levels, the World Meteorological Organization (WMO) announced. Even optimistic scenarios don’t look too good for the planet’s climate. Image via Wiki Commons. “According to the latest Greenhouse Gas Bulletin, since 1990 there has been a 36 percent increase in radiative forcing — the warming effect on our climate — because of greenhouse gases such as carbon dioxide, methane and nitrous oxide from industrial, agricultural and domestic activities,” UN spokesman Stephane Dujarric said at a daily news briefing here. It almost sounds like a broken plate – we’re emitting more and more greenhouse gases, the world is heating up, we have to do something. You hear about it so often it almost sounds normal… except it’s not. We don’t see carbon dioxide or methane, but they’re here, and they have a big impact. The world has officially reached “uncharted territory”, with more greenhouse gases in the atmosphere than the Earth has seen for a million years. “Concentrations of greenhouse gases in the atmosphere are now reaching levels not seen on Earth for more than 800,000, maybe even one million years”, WMO chief Michel Jarraud told reporters. “This means we are now really in uncharted territory for the human race”, he warned. 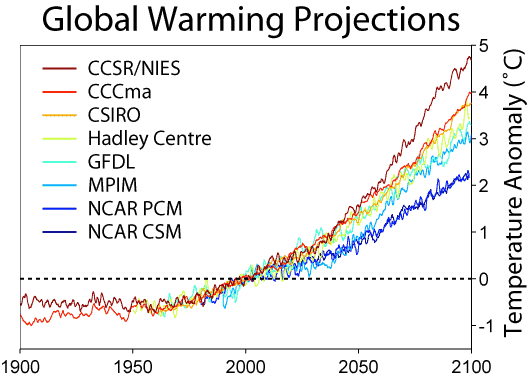 The announcement was made in the WMO’s Greenhouse Gas Bulletin, released ahead of the UN climate conference this December in Paris; they especially highlighted the interaction and amplification effect between rising levels of CO2 and water vapor, which is itself a major greenhouse gas, albeit short-lived. We will have to account for all these emissions, as well as future ones. Even if we somehow miraculously stop emitting greenhouse gases tomorrow, the world is still well on course to heat up significantly, and if we continue to input more and more, the Earth will simply get hotter and hotter. “Past, present and future emissions will have a cumulative impact on both global warming and ocean acidification. The laws of physics are non-negotiable,” Jarraud said. This is not some far away prediction, we’re already seeing these effects: drought, extreme weather, rising temperatures, all these are heavily impacted by climate change.